#PromoReview: Zee TV's next ManMohini will definitely blow away your senses! Well, the first promo does it. Zee TV is all set to present a supernatural thriller to you in the form of ManMohini. 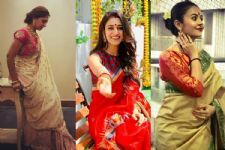 The Prateek Sharma offering was earlier titled Chudail and had names like Devoleena Bhattacharjee and Shivani Surve, in the running for the titular role. However, Ishqbaaaz vamp Reyhna Pandit upped everyone and bagged the lead. The show also stars actors Garima Rathore and Ankit Siwach in the lead roles. And here's a small analysis of the first promo of the show. The voice over tells about how we see a lady in registaan and how she is sometimes spotted dancing in the deserts at night. We see a woman dancing and Ram (Ankit Siwach) stops his car and walks off towards her. It is said that she has been waiting for years for her true love and then it is revealed that she has been waiting for 500 years. And when Ram attempts to touch her, she vanishes into thin air. By then, Ram's wife Sia comes and takes him away, as the voice over states that Manmohini will break lovers to find her true love. There was nothing not to like in the first promo of ManMohini. 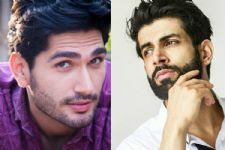 Reyhna Pandit as Manmohini, Ankit Siwach as Ram who gets drawn to the vamp and Garima Rathore as the worried wife Sia, all fit the bill and portray their roles perfectly. From the looks of the promo, the promo has been shot in real locales of Rajasthan and Prateek Sharma has done a wonderful job of the same. There is very minimal but some VFX (of the ladies vanishing and merging into ManMohini), and that looks neat and clean, very much to our liking. While we got a rough idea of what ManMohini is going to be all about, we did feel like we've watched this concept of a vamp snatching a man and his wife fighting tooth and nail fer her suhaag, in Kavach- Kaali Shaktiyon Se, before. And if the show's concept is not what we think it is, then the makers should have provided some more clarity in the first promo itself. Getting past the what we did not like point, the performances and the concept does intrigue us, as we are willing to give the makers a benefit of doubt here. We eagerly await the next promo of the show. It s probably a good idea that Sony stays away from the daayan league as you called it. While I think it would be nice if Sony added a new daayan related serial to their programming, at the same time, I think it would be better if they didn't. ManMohini does look like it will be similar to Anamika serial. Why this promo deserves 4.5? You are biased towards some shows which is clearly seen. Isn't it similar to Anamika show? After star plus, zee and Colors are also joining daayan league i read somewhere even ekta mata is coming on & tv with daayan show, right now it's only Sony who is away from daayan league.. So basically the three juggernaut channels are all launching supernatural shows to compete with each other. Nazar on Star Plus, Manmohini on Zee and Sitara on Colors. I am looking forward to seeing this new churail related serial! The same thing again and again and again!!! !